Overall a great location. It's a little small, and the drive is far as I live in Daytona. The quality of the product is amazing, and they have a large selection of products and strains to choose from so that outweighs the drive! 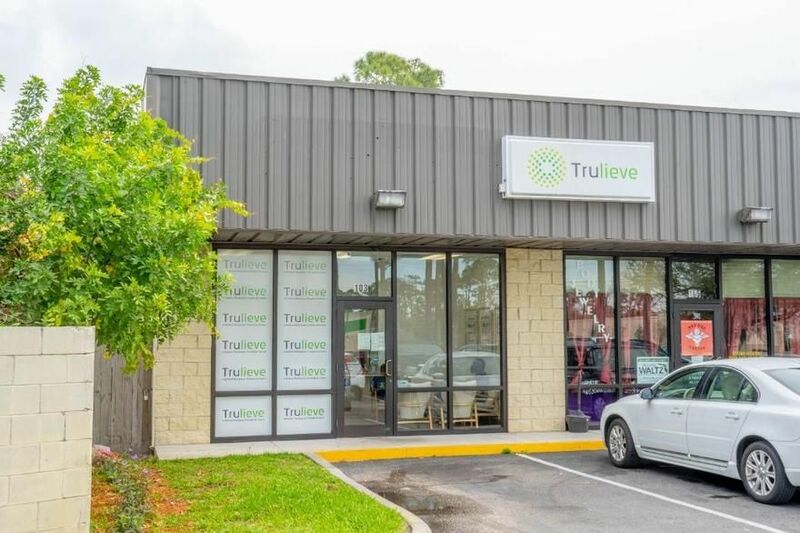 I definitely recommend Trulieve! My favorite for sure!! Thanks for this awesome review and your recommendation! 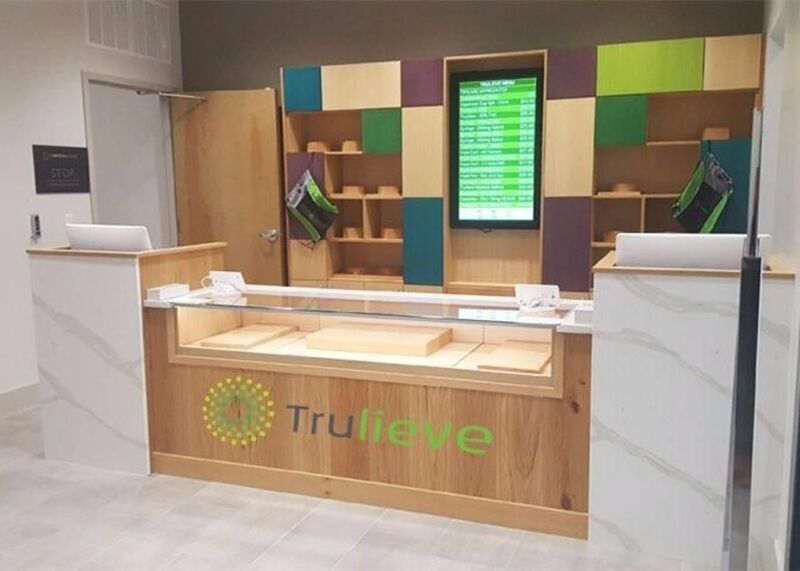 Trulieve's staff is friendly and knowledgable! so grateful for them. We are grateful for your kind words! Thanks for being a Truliever! First order 1 cartridge was not full. Got trench mouth after using. Obvious now they were selling me store returns. How else do I end up with rot mouth 3 different times using your product. Every time cart had big air space in cartridge. After leaving for months for a more reputable company. I tried them 1 more time. Ordered on line. They say sorry we didn't get your order so you can sit here for 3 hours and wait. Stick it! Thanks for understanding and sticking with us! We are working on expanding our inventory for you guys! Rmechell, we appreciate your positive feedback and consistent use of our brand. Thank you for being a Truliever! Great staff, competitive and fair prices and great products. Kudos to Malik. Need a larger space in a better area with a better more professional look and atmosphere, a better and larger lobby. I propose Daytona Beach. The staff is knowledgeable, helpful and in general superb! Thank you, we take pride in our staff and products! It's always great to hear when our patients do as well. The tabletop that is sold is so exorbitantly priced that I, and no other patients I know, can can afford it. It's odd because a storz & bickel isnt even as expensive as the tabletop made by trulieve, and it works with flower without wasteful disposable cups. I know this is partly the problems with things added to the law, and I will contact my legislation about this or wait for the outcome of the court case pertaining to this matter. I thought the vape pens themselves felt as if they were likely to break easily compared to some of the extract pens I have felt currently on the market. The only thing that really confuses me as a new patient is there isn't a sample pack of low amounts at an affordable price of at least half the strains carried. They do have an okay array of low priced oral syringes, but if I find I like one, odds are it does not come in an uncut syringe which is what I prefer having MG limits and all as a medical cannabis patient who also needs to get the most bang for my buck. I also had an issue with the packaging of the glass syringe... The tip broke off while it was inside its container. I noticed the plastic container is not very shock absorbent when I dropped it about two feet while closed. I might suggest a silicone pad inside the inner part of the lid for the syringe packages or at the bottom, preferably both. That would probably be a grand idea for old people like myself who are clumsy. Luckily it was mostly a flow reducer and I didn't lose any of my medicine. The staff at this location were extremely helpful in choosing my first strain. I went with SLH and it does have a learning curve as to how the dose is and how long it lasts but I am so happy to have a clean medicinal product that helps me in ways the pharmaceutical alternatives couldn't. Now if we could only get a trulieve near DB or PO since my truck eats gas. Thank you for being in volusia County! Thank you for leaving us the positive review! We are working on providing more affordable products and variety within the limitations set by the state. So stay tuned!